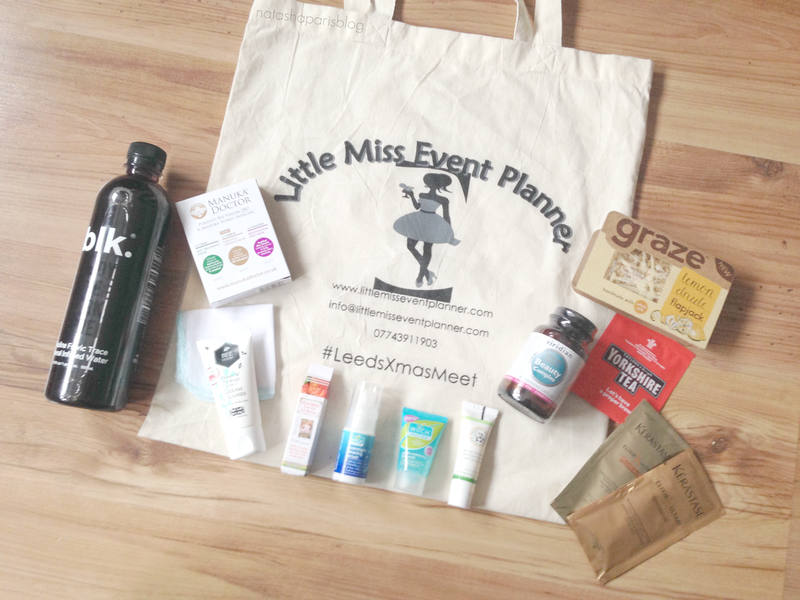 Last Saturday afternoon I attended my first ever blogging event - The Leeds Xmas Meet. The event was organised by the lovely Rhianna from robowecop.com and took place at a lovely little pub called Black Swan, right in the heart of Leeds City Centre. As this was the first blogging event I'd ever attended I was pretty nervous about speaking to people, so I didn't speak to as many people as I'd have liked to. I did pluck up the courage to speak to a couple of bloggers though (Laura,Kirsty and Serena) who were all super lovely. During the event there was chance to sit and chat, decorate your own Christmas cupcakes (see my attempt below) in the cupcake decorating competition,take Christmassy selfies at the selfie station or mingle and grab a drink from the bar. There was also a best dressed competition running during the event, which was won by Lucy and rightly so, her Christmas tree inspired outfit was incredible! There was also a raffle held during the event, with the chance to win some amazing prizes and also raising money for the charity YoungMinds (which I've looked up since the event and it is such an incredible charity). Unfortunately I didn't win any of the raffle prizes but it didn't dampen my festive spirit. At the end of the event I was lucky enough to be given a goodie bag which was filled with a bunch of amazing skincare and haircare and even some edible goodies too. I am really looking forward to trying the products I received in the goodie bag, especially as there were items in there from brands I've never tried, such as Bee Good,Manuka Doctor,MooGoo,Viridian Nutrition and Keratase. There were also some Witch Skincare goodies too which I'm also looking forward to trying. I had a wonderful afternoon at the Leeds Xmas Meet, I've said it so many times already but I'd like to give another huge thank you to Rhianna for taking the time to organise this amazing event. It was lovely to see so many bloggers at the event, I'm sorry that I didn't get the chance to chat to many of you, my nerves just got the better of me.